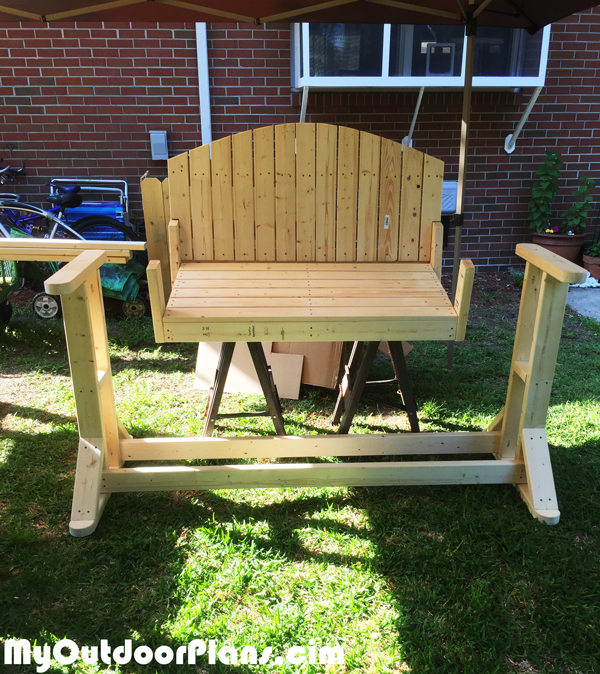 So my wife was telling me about a porch swing that she used to have, and asked if I could possibly build her one. 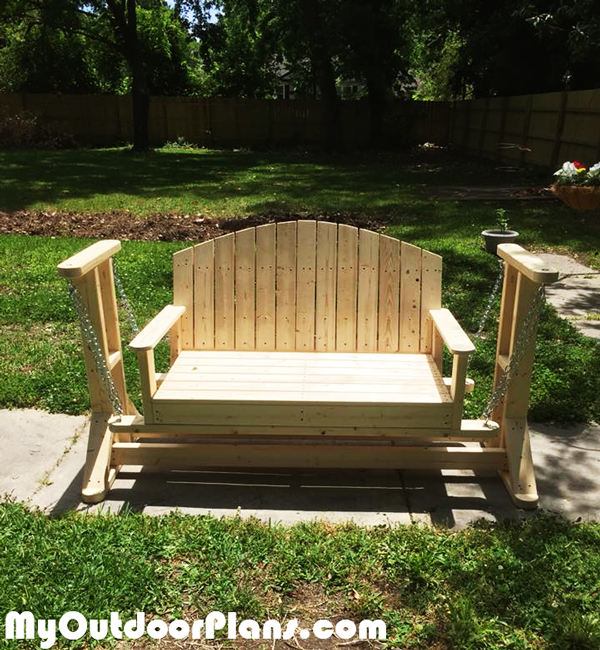 I came across your plans for the swing bench, and thought it would be a great project. Started out with about $80 worth of lumber, and put together the stand, or “cradle” as I call it. 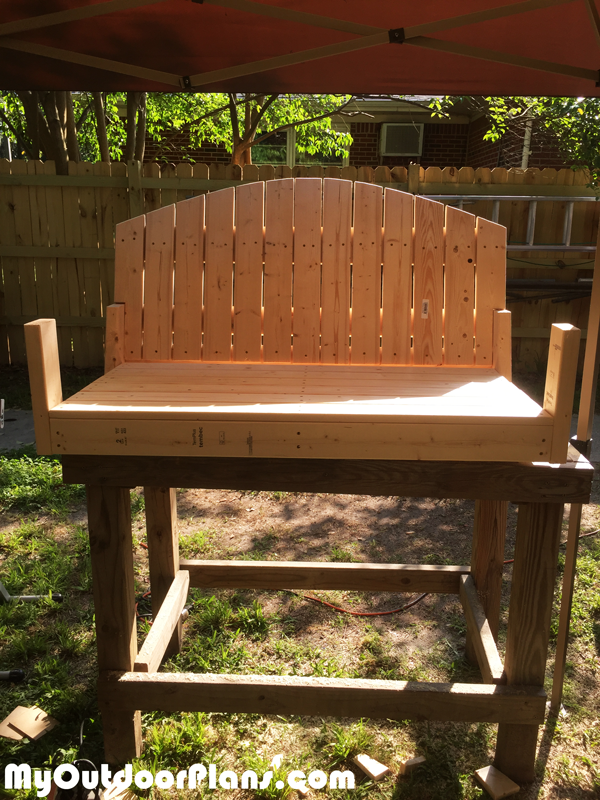 Then I built the swing bench itself. The plans for both the cradle, as well as the bench, couldn’t have been any easier. 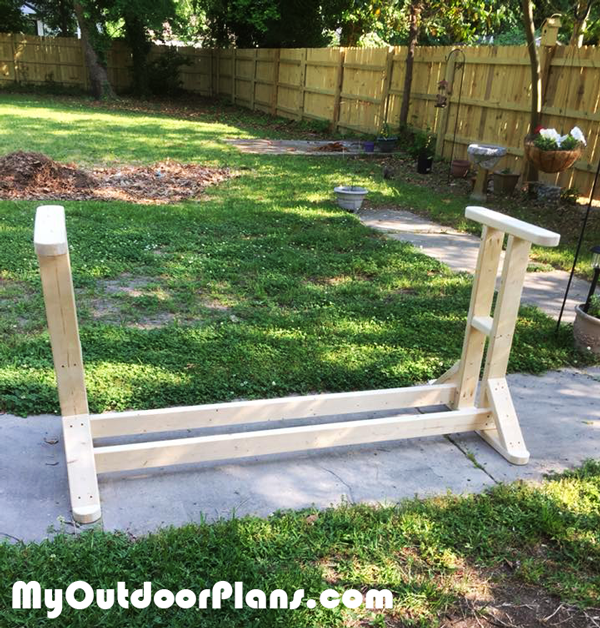 Plans that I have come across on other sites have left a question or two for me in the past, and had I been a beginner, I don’t think I would have figured it out on my own, so I appreciated the simplicity and the thoroughness of the plans. I finished the entire project with about $15 worth of eye bolts, nuts and washers, and some chain, rated for 450 lbs. Few passes with the sander, and a coat of Golden Pecan stain, and she is porch ready! And the biggest compliment I can give you, as well as your site, is to tell you that since I completed the project, and posted pictures of it on social media, I had a buddy call me and ask if I could build him one as well!